The Frilight Mars 8812 boat light - this little slice of cosmic construction is a super low-profile boat light that delivers your choice of Halogen or LED light. 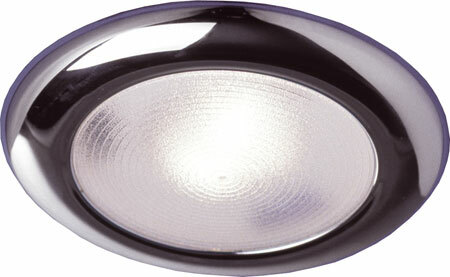 Convex spiral diffusing lens and optional toggle switch make this an out-of-this-world boat light. 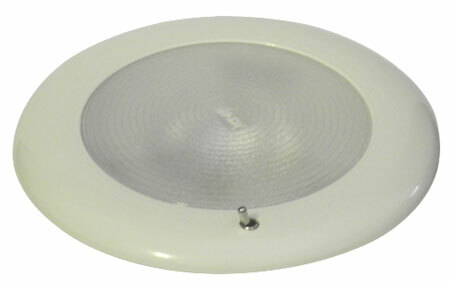 Choose an energy efficient 10 SMD G4 LED or G4-pin Halogen Bulb. LED functions on inputs of 10-30 volts DC and the Halogen functions on an input of 12 volts DC.